These next episodes will explain why, explain addiction, and tell you HOW to change and start taking action immediately. Listen as I explain how to reengineer your feelings of deprivation and stop FOMO. Do you feel ashamed or guilty? Listen as I explain the difference between guilt and shame and why vegangelicals are ruining the vegan movement. Episode 4: Can You Be Healthy and Obese? Are Health Warnings Effective? Can you be healthy and obese? Listen as I discuss whether health warnings are effective and if self-criticism is as motivational as we think. How you think about something can transforms the effect it has on you, all the way down to a physiological level! Listen as I explain why perceptions matter. Why it is that even when we know what to do, we still don’t do it? How you can get control, change your behavior, stop weekend overeating. Feel like ‘diet’ is DIE with a ‘T’? Learn the psychological (and physical) difference between fasting and caloric restriction, & the “suffering” effect. Episode 12 My 3-year weight-loss update with body scan results. My 3-year weight-loss update, body scan results. Learn about BMR, BMI and how I shed 19 pounds of pure body fat. User Experiences: Benefits and Downsides to Intermittent Fasting plus Frequently Asked Fasting Questions. Episode 10: Have We Evolved or Adapted to Obesity? Are some of us meant to be fat? Listen as I discuss if we are obese by design and how to still enjoy alcohol without gaining the beer belly. What hours of the day should you be eating? Listen as I discuss the problem with today's views on breakfast and why you should know the two stages of digestion. Does having an opened box of cereal in the house hurt your chances of losing weight? What everyday things are making your overeat and how to overcome them. How does fasting work for promoting fat burning? I discuss how you can use fasting to your weight loss advantage & the problem with artificial light. Are we meant to cook our food? Listen as I discuss how chimps can teach us about our eating style and the pros and cons of cooking your foods. What is better- frozen or fresh? The answer may surprise you! Listen as I discuss the pros and cons of "fresh" food. Episode 2: Should You Count Calories? Not all calories are created equal! 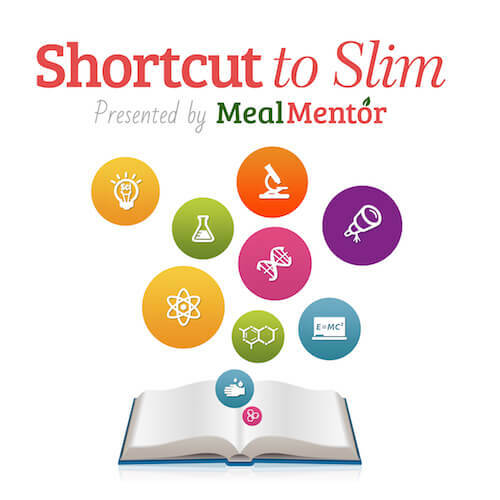 Listen as I discuss what you really need to know about calories and if counting them will help with your weight loss goals.